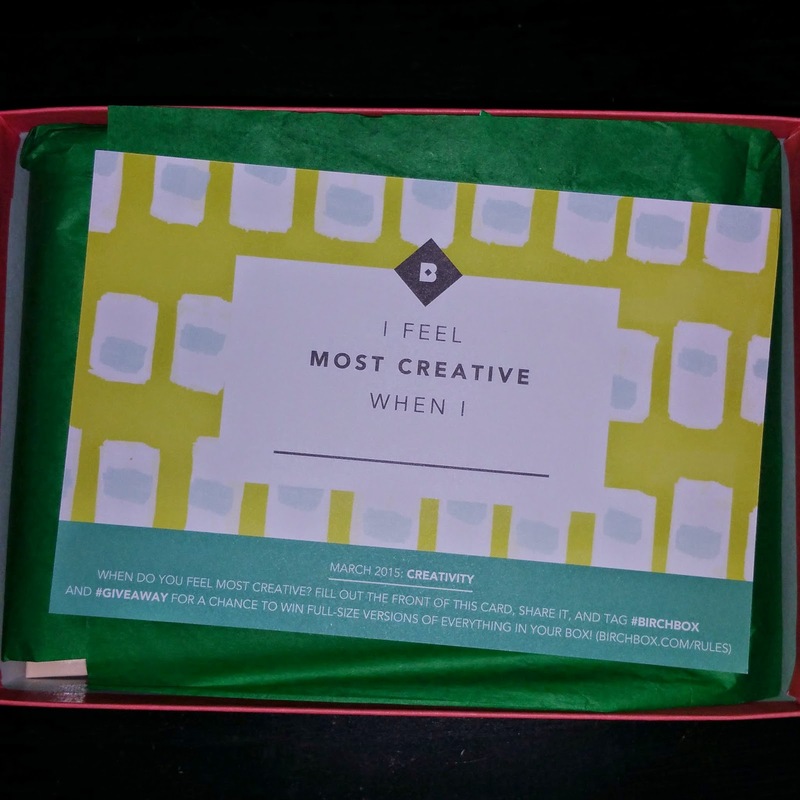 Another pretty box for Birchbox. Make sure you are keeping your boxes! They have something special planned for them at the end of the year! I forgot to write what makes me feel creative....whoops! The theme is creativity. 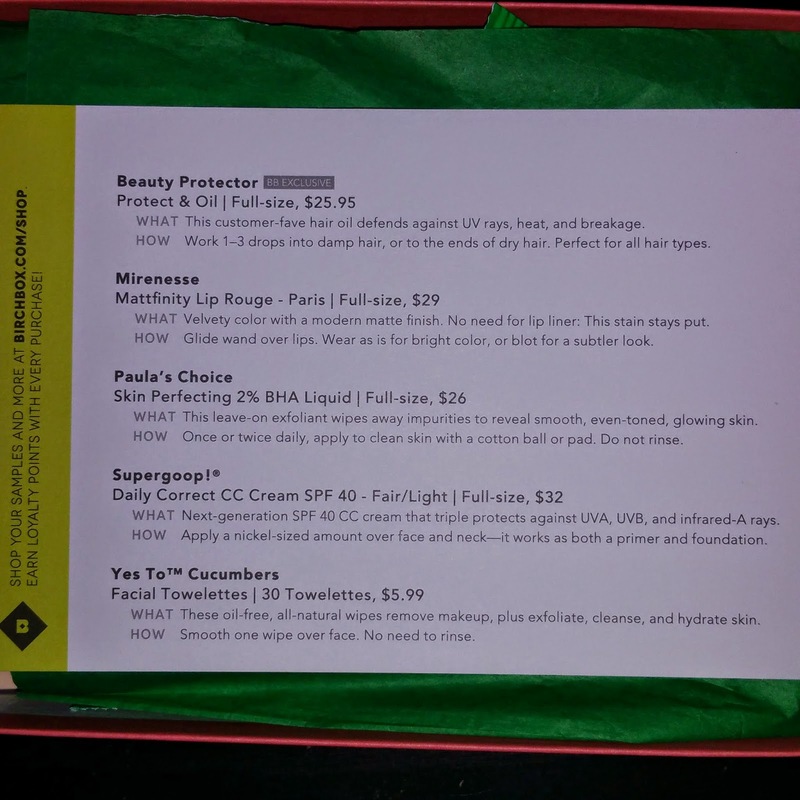 Yes To Cucumbers Hypoallergenic Facial Wipes ($1.99) - I am already a believer of Yes to products, (in fact, here's a review of their mystery box from a few months back), so I was pleased when I saw I would be getting this. It's the perfect size for me to throw in my purse or overnight bag without carrying a full size pack. Mirenesse Mattfinity Lip Rouge (Paris) ($7.04) - I not entirely pleased with this color, but the product itself is pretty great. This is too purple and too dark for me, but I would definitely use it if I had gotten a different shade. Paula’s Choice Skin Perfecting 2% BHA Liquid Exfoliant ($6.50) - This is yet another skin product. I'm starting to get tired of getting similar products. I am not a huge fan of exfoliants, and especially one with an ingredient list like this. Beauty Protector Protect & Oil ($6.49) - This might be a great product, but I wouldn't know because of the way they package it. It needs a dropper or a spray attachment, but not just a cap. It makes a mad mess in this container. Supergoop! 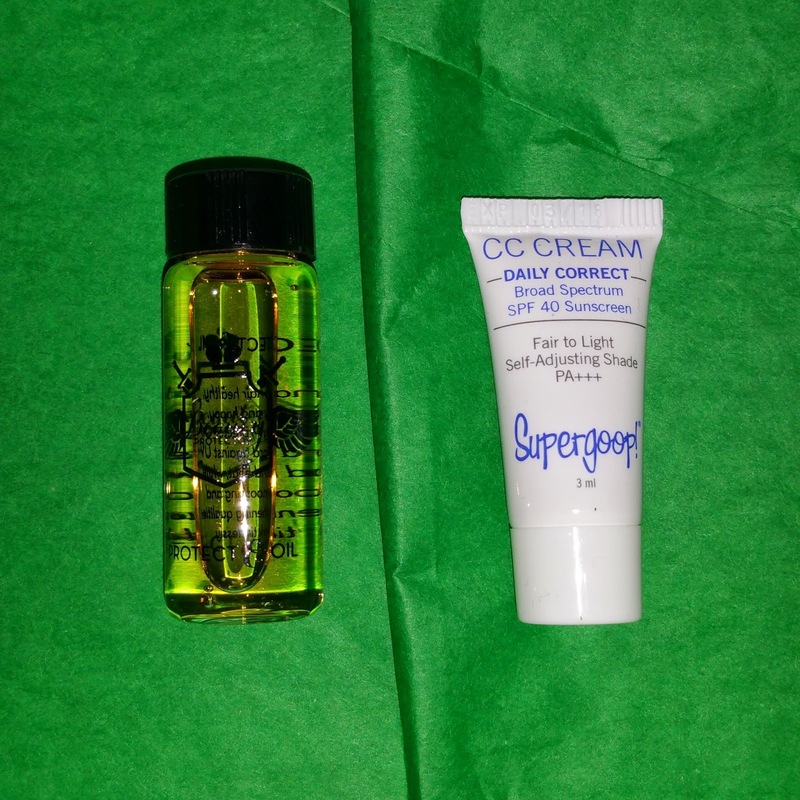 Daily Correct CC Cream ​SPF 35+ ($2.04) - More Supergoop, bleh. At least this is the right shade! It's such a small container that not even two uses will come out of it, sadly. This month's box is valued at $24.06 and I got the extra $5 to use in the store from review points. Still, a box is only as valued as how much you can use. For me, this box was valued at closer to $2. 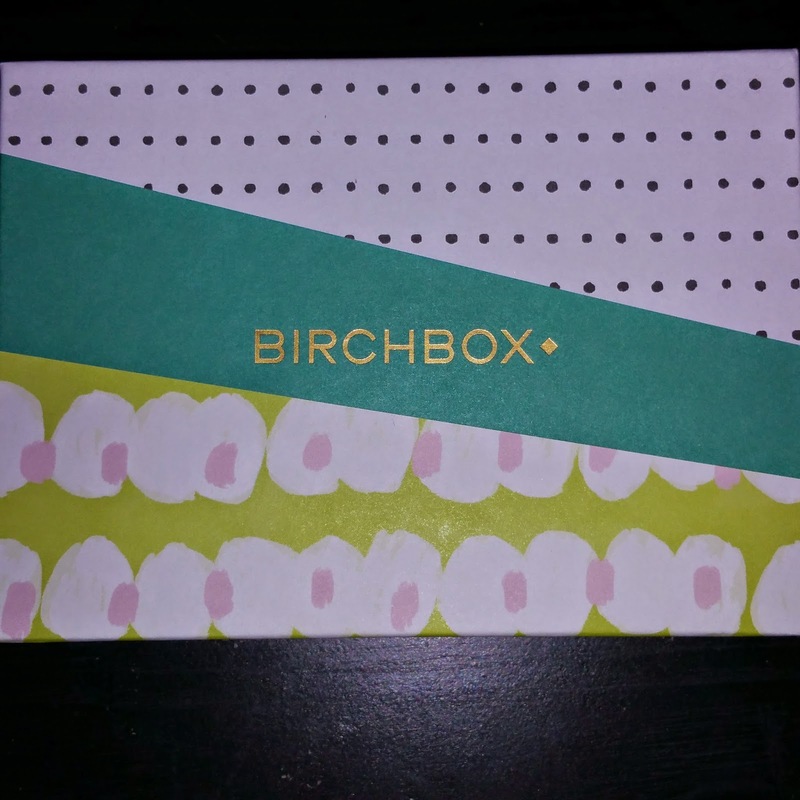 If you got Birchbox this month, let me know what you thought about it! what a great way to check out different kinds of skincare and stuff! !